Almost everyone at some point will try to make a standing wave in their tank. It is very hard for traditional powerheads to create a wave, as waves are created by displacement. 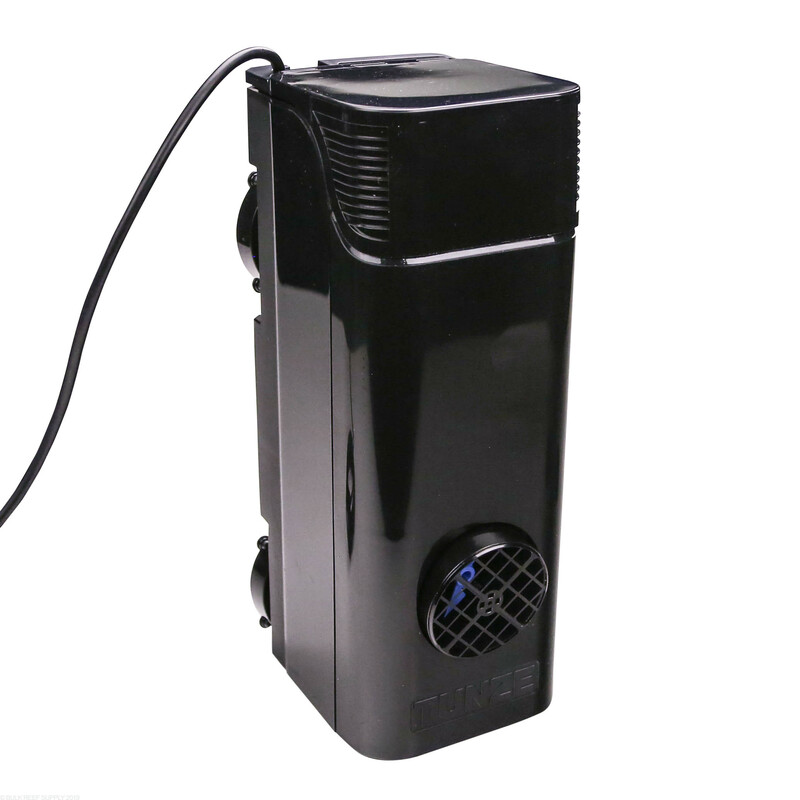 A wavebox works of the exact same concept by oscillating the displacement of water in your tank. 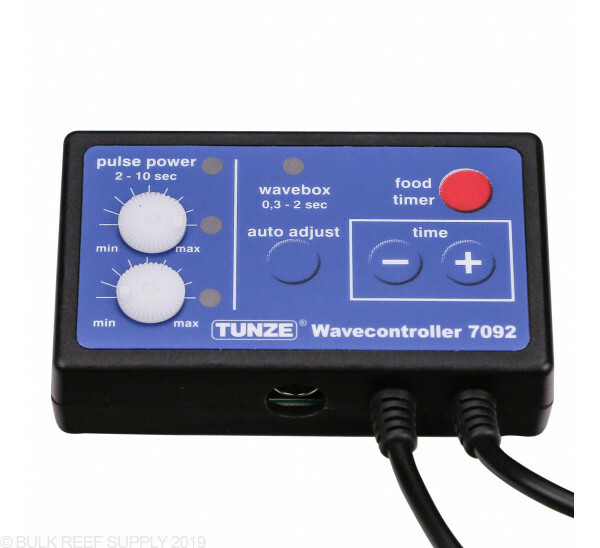 With a very small amount of power you can generate a standing wave in your tank with the use of a Tunze Wavebox. Reefs in the ocean have oscillating currents which help whisk away nutrients from your tank, including between rocks, behind rocks and even the corners. 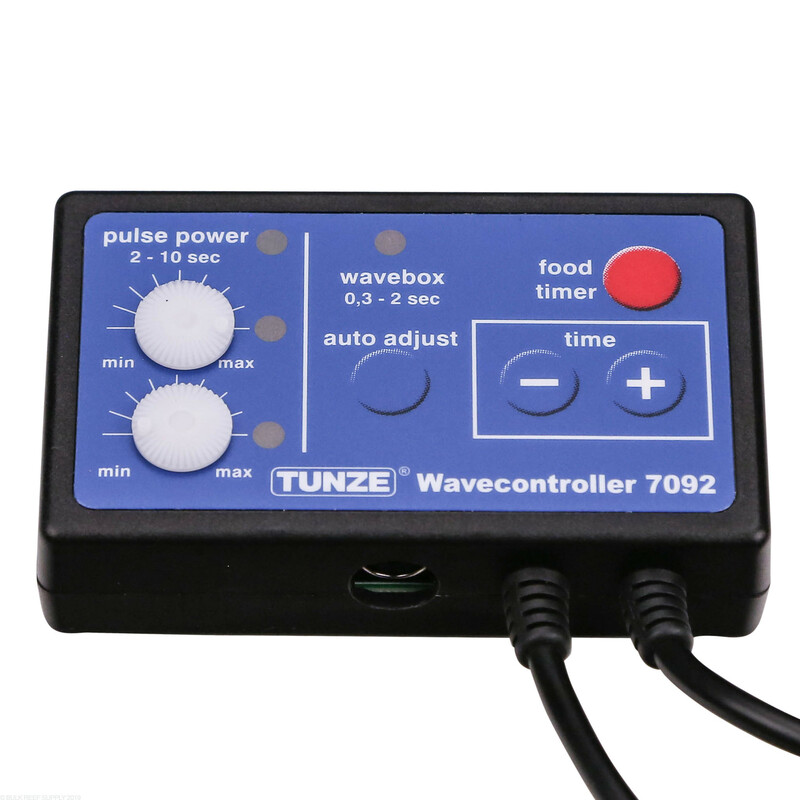 With the use of the 7092 controller finding the correct frequency is very easy and only takes a few minutes to install completely. 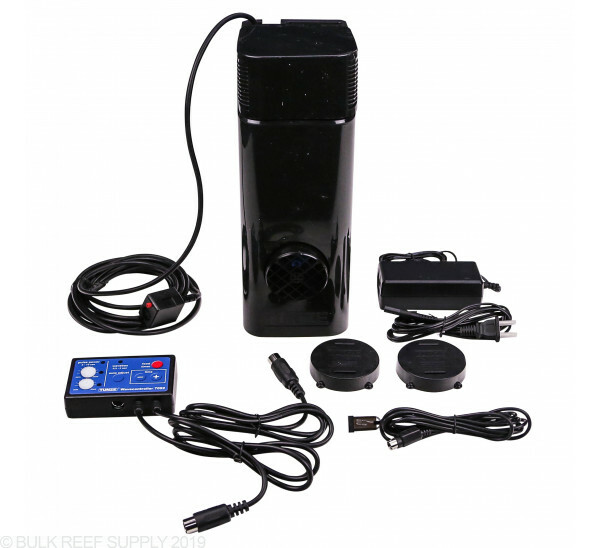 Recommended for aquariums: 106 to 370 Gal. Operating depth: 255 to 285mm (10 to 11 in.). 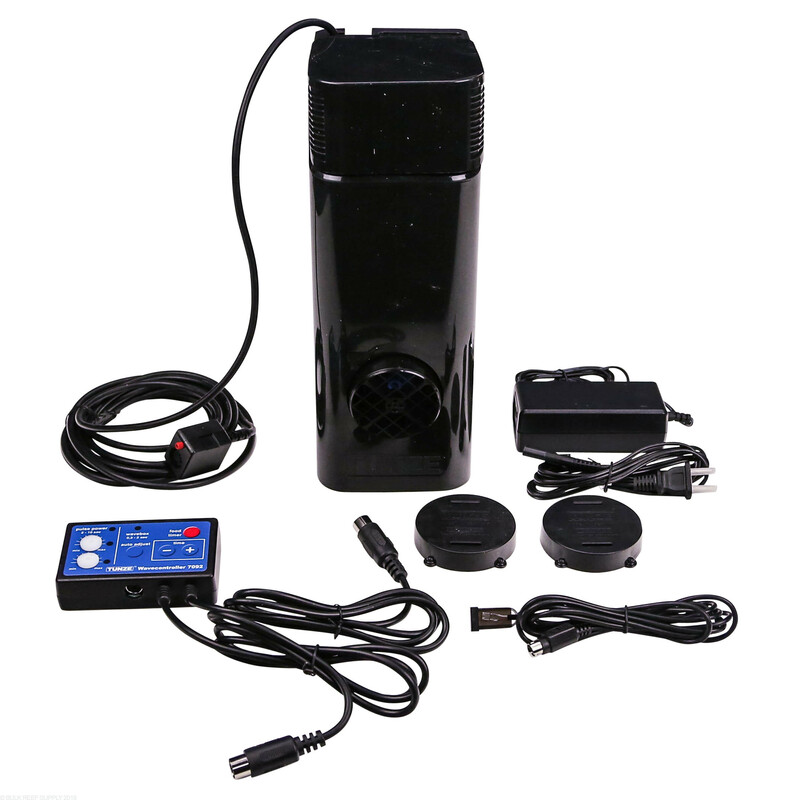 Dimensions with Magnet Holder: L 5.5 x W 4.3 x H 12 in. provides an effective water circulation for big tanks. Noise and size can be a problem for smaller tanks but not for recommended tank size. I've always wanted to try a Wavebox since my LFS had one on a 6'; but didn't want to spend the money. Well I finally pulled the trigger & got one - I do not regret it. 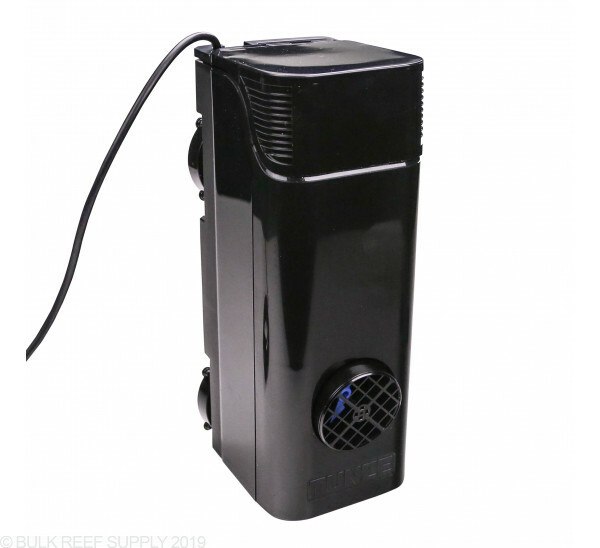 It's a good product, it does create a 1-1/2" wave in my 180g reef, but I feel like the box could have been made better. It does generate a hum, equal to an MP40 in loudness. It may be due to that it's touching the black rim of my tank though. This thing moves water in every corner of my tank. You can see all kind of stuff moving in between the rock work! That being said - it is a different kind of flow. It's not a circulation pump like it says, so I have it paired with my MP40. Glad I finally got it! The problem with this wave box is that the box is designed for multi-use. 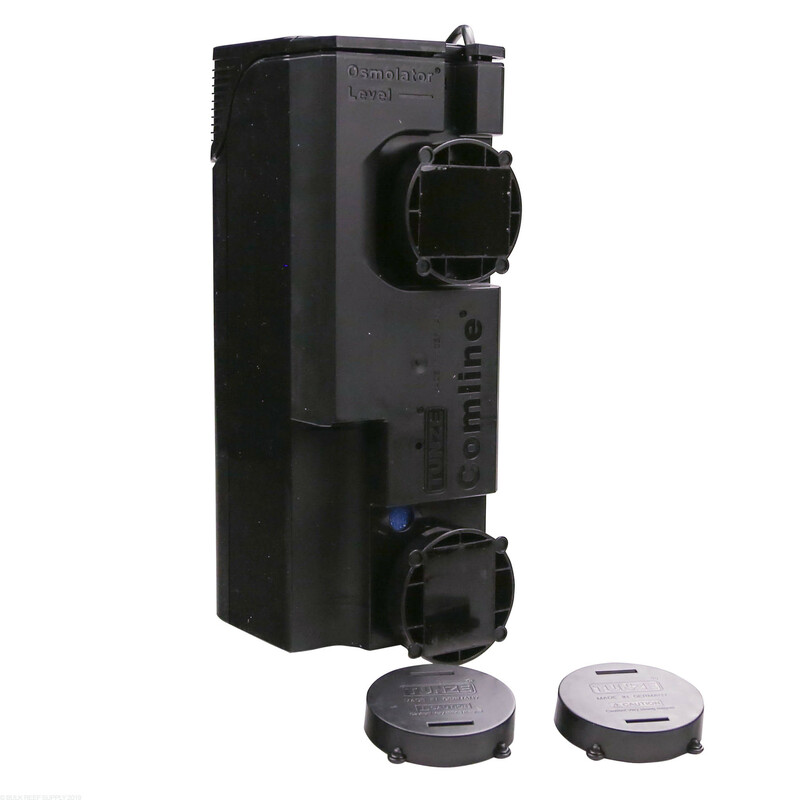 In other words, it seems the same box is used on other comline products (e.g filters). So the box is poor quality for wave box imo. Better to get a pump and make your own wave box. Annoyingly noise given todays technology.